The name Smith is better known in endurance circles but now younger sister Brigitte stamped her mark in showjumping. Riding her cousin’s Corlinka, she headed home 29 other combinations to rightfully hoist the Super Moth Trophy. Twelve came back for the second round with Smith, Ally Carson aboard Whiorau Ritchie and Samantha Carrington on Double J Breeze On all with clean slates. However, things got a juggle-up in the second where both Carson and Carrington had the final fence down. Smith had to go double clear or clock a speedy four fault round. She knew Corlinka, who she is riding for her cousin Kelly Smith, had plenty of speed so wasn’t too concerned. The 18-year-old Massey University student had her first outing on Corlinka in late January and from their three junior rider starts have picked up a win and two thirds. Their winning effort was Smith’s first-ever start in the Premier Arena. She is now looking forward to next season. “I will be out of juniors, so just see how we go. She is so cool that I will be happy at whatever level we are at. Kelly is very easy to ride for and just so supportive,” she said. Corlinka is a three-quarter sister to Tom Tarver-Priebe’s Popeye and was bred by Kim and Greg Best. Smith’s mum Andrea and sister Georgia both represented New Zealand in endurance at the 2014 FEI World Equestrian Games, but Brigitte made the switch to showjumping and has no intention of changing back. 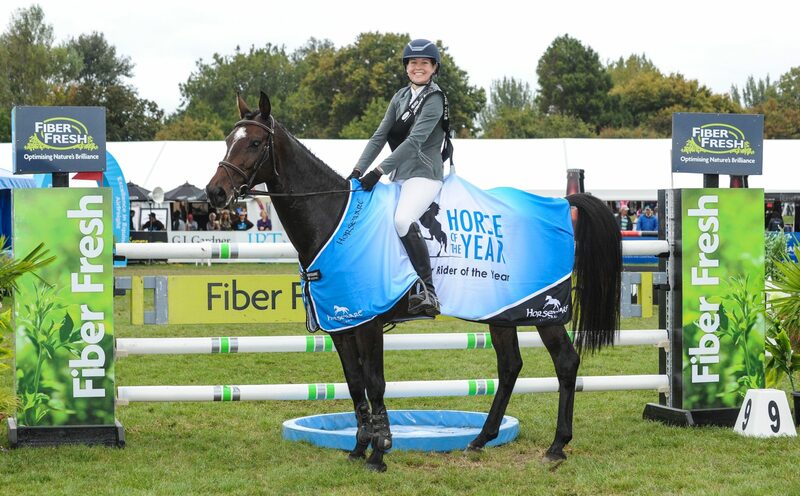 Fiber Fresh Feeds Junior Rider of the Year as part of the Dunstan Horsefeeds and Equifibre Junior Rider Series: Brigitte Smith (Mangaweka) Corlinka 1, Keean Cooper (Te Kauwhata) LT Eloquence 2, Emma Watson (Morrinsville) Maddox Kiwi Silverkee 3, Ally Carson (Putaruru) Whiorau Ritchie 4, Sarah West Matamata) ERL Grey II 5, Samantha Carrington (Takapau) Double J Breeze On 6.